EZAC can't afford teh EDGE. Things are slowly moving ahead. Hope to have a potential price shortly. Going to update the first post right now. WHO IS THIS GUAM65 IMPOSTER??? He's a total copycat... or a typo... but how can we be sure? One important thing to note, once I have pricing on these, I will need everyone to pay up front. They only require a 50% deposit, but I can't have anyone back out and have me be stuck paying for extra jerseys. Hope that everyone is cool with this. Yea, I just have the current info as is... We don't know the cut yet. Once I have that info, I'm going to confirm everyone's order individually to make sure we're all set and getting what we want. Having seen a Union gamer in person I would say they are pretty close to a tradition 6100 cut. Also, don't expect a fight strap. 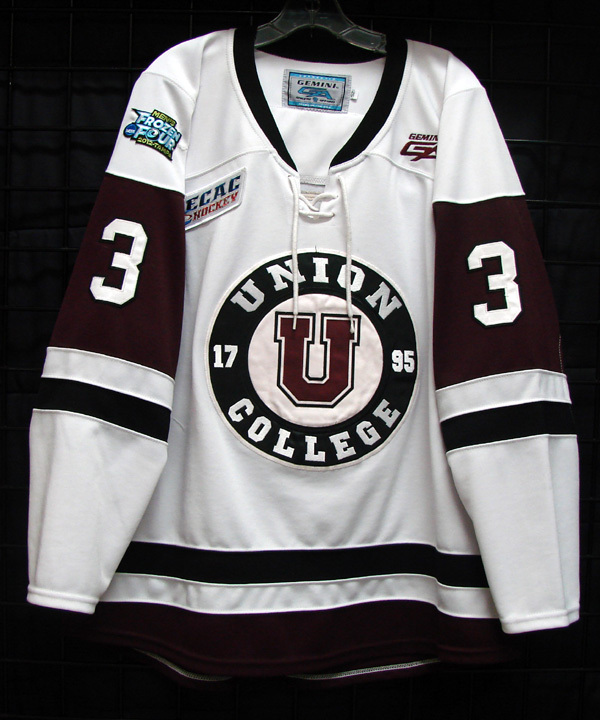 Here's a couple pictures of a recent game worn Union jersey. As guam said, doesn't look like there is a fight strap. Only difference I notice is the GA logo will be just below the neck, above the logo. That's the gamer I saw in person, can confirm it doesn't have a fight strap which I believe is standard with Gemini gamers. For sizing keep in mind that a lot of players wear 52 in these jerseys. This is the cost FROM Union, and would not include the shipping cost for me out to you guys. I'll be sending out PMs confirming interest with everyone so far. 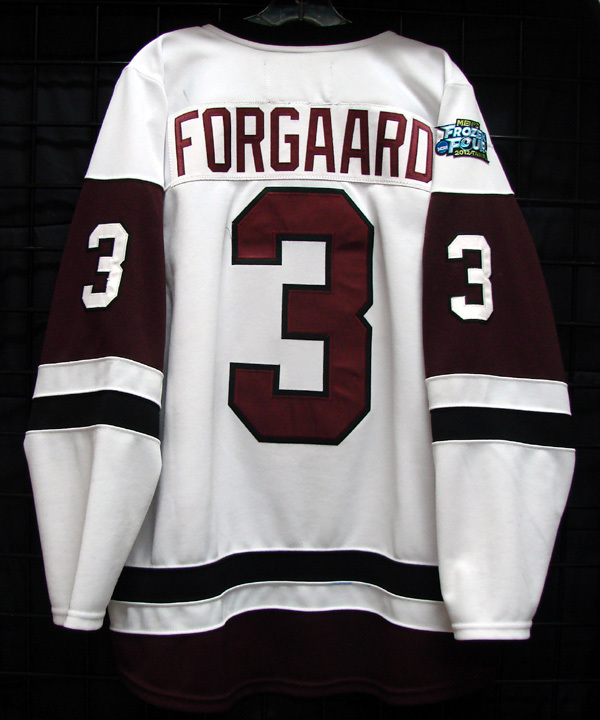 Forgive me if this has already been decided upon...are you looking at the home whites or the road maroons? I would try talking directly with Gemini. Maroon's the choice to go with...what's your deadline? I'm interested...but it's steep. I would guess we'll be placing the order within a week. Going to send out final messages today re-confirming interest in this price level (unless you already answered). Hopefully after that, we can move forward with sizing and ordering. Final confirmations have been sent out. If you're interested and haven't gotten through to me yet, do so ASAP. I've started collecting the money to place the order. There are some here who expressed a pretty high level of interest who haven't responded at all. Just saying, I've made every effort to get in contact with everyone. If you miss out, its your fault at this point. Everyone on my final confirmed list has now paid so I should place the order tomorrow. dsl135, I just want to say "thanks" for all of your work in putting this together and organizing it. I blew my jersey budget for the year out of the water with this one, but I can't wait to see this one arrive at my mailbox. Thank you again...much appreciated.